John Tollefson specializes in evaluating, resolving and, where necessary, litigating issues involving insurance coverage and "bad faith". He also acts as a mediator for parties seeking to settle disputes involving these issues. He undertook his undergraduate studies at Emory University in Atlanta, Georgia, was accepted as an early admission to the Tulane University School of Law in New Orleans, and earned his law degree in 1979 at the age of 23. He was admitted to the Louisiana Bar that year and practiced insurance law there until 1991. He was admitted to the Texas Bar in 1991, and has actively practiced at the trial and appellate levels in the state and federal courts in Texas and Louisiana since then. He has also been admitted to practice in the United States Supreme Court, the federal appellate courts in the Fifth, Seventh and Eighth Circuits, and various federal district courts in other states. He is a charter member of the Insurance Coverage Litigation Committee of the American Bar Association's Section of Litigation. In 1989, he founded Coverage, the journal of that committee, and served as an editor of that journal for the following fifteen years. He was appointed editor-in-chief in 1996 and served in that capacity until 2004. In 2001 he served as program chair of the Committee's annual meeting. In 2002, he was presented the Section's award for Outstanding Editor. In 2003, the ABA awarded him its Lifetime Achievement Award, in recognition of his contribution to the Section and the Committee. 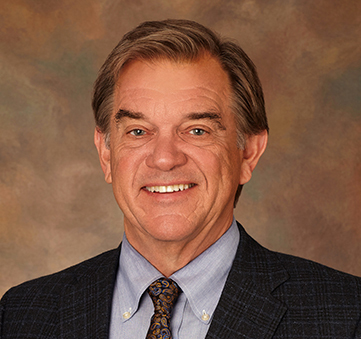 In 2003, he was elected to serve as a member of the Council of the State Bar of Texas Insurance Law Section. He has served as a member of the Council of the Section continuously since then. In 2010 he was elected Chair of the Section for the 2011-2012 term. He has been elected by his peers as a "Super Lawyer" in the field of insurance coverage every year since 2006, and is named in Who's Who – Legal, published annually by the International Bar Association. He and the firm are recommended by Best's Directory of Recommended Insurance Attorneys and Adjusters. He is rated "AV Pre-eminent" by Martindale-Hubbell and has been AV rated for twenty-five years. He is a longstanding member of the College of the State Bar of Texas. He is licensed by the Texas Department of Insurance to provide state-accredited continuing education seminars to insurance claims personnel. He has presented speeches and papers on insurance issues for lawyers at numerous continuing education seminars.